About 100 years back, Indian cow like angole, Kankrage, Giri, where transported from India to Brazil for meat production. This was because these breeds where tick, diseases and heat resistance. 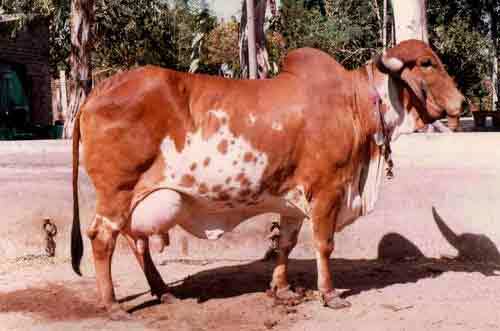 However, the Giri breed immerged as milk producing cow. Brazil has established embryo lab in Bhovnagar, Gujrat, India by providing over 2 crores rupees. To import Giri cow embryos because they cannot import live Giri cows. Junahgarh is the oldest Giri breeding farming in Gujrat. Now at present there are lacks of Giri cow in Brazil and their number in thousands in India. Now Govt of India is promoting Giri cow development in India. Gujrat Brazilian Giri is producing 100 liters of milk per day. The video recording of such cows is shown below.